Areeba Habib is a Pakistani fashion model who has been modeling for the past few years. 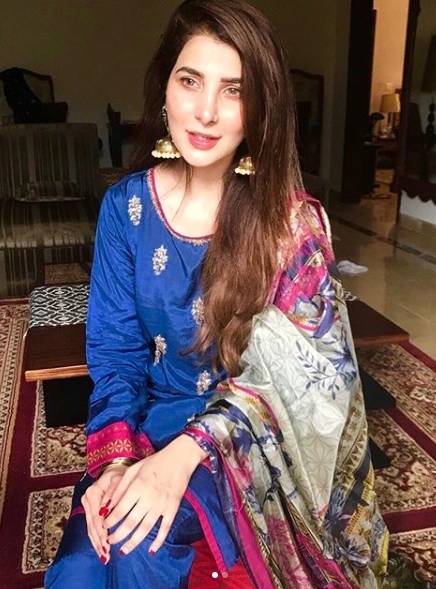 Areeba Habib made her mark on the fashion runway but gained more popularity among the masses when she stepped into the world of acting with her debut drama serial Koi Chand Rakh. Areeba Habib is playing leading role in this debut drama serial. Areeba Habib was born on May 1, 1993. Areeba Habib is 25 years old. Many people want to know why a successful model like Areeba who could have continued her modeling career for many more years to come, decided to step into the world of acting. While giving an interview to Instep, Areeba shared that she especially auditioned for this role when she found out that it was being offered. She also said that the casting team had various sessions with her for 90 days before finally choosing her for the role. Areeba does not want to give up modeling, she wants to continue both acting as well as modeling. Many people don’t know that Areeba Habib is the same model who made fun of Zara Noor Abbas when she walked on the ramp in one of the fashion shows. This video was uploaded on instagram in which Areeba along with some of her friends was making fun of Zara. Zara Noor Abbas told the model off in a polite way and later on Areeba Habib apologized publically. While promoting her drama, Areeba also had an important message for her fans. She said that just having a pretty face is not enough but acting involves a lot of hard work and passion. She also said that a person can come into this field with contacts but in order to stay in this field and make a name for yourself, you have to work really hard.